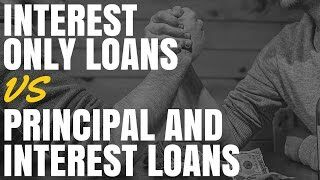 Interest only loans vs principal and interest loans. What are the pros and cons of each type of investment loan and what is going to be best for you? Interests-only loans versus principal and interests loans, which is better for property investors and what sort of loan should you choose? 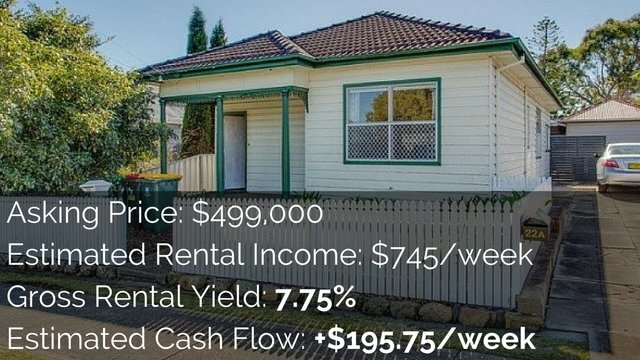 Hey, I am Ryan from OnProperty.com.au, helping you find positive cash flow property. This is a decision that a lot of property investors need to make. What sort of loan should they get? Should they get an interest-only loan where they are just paying the interest and not paying down any debt? Or should they get a principal and interest loan? 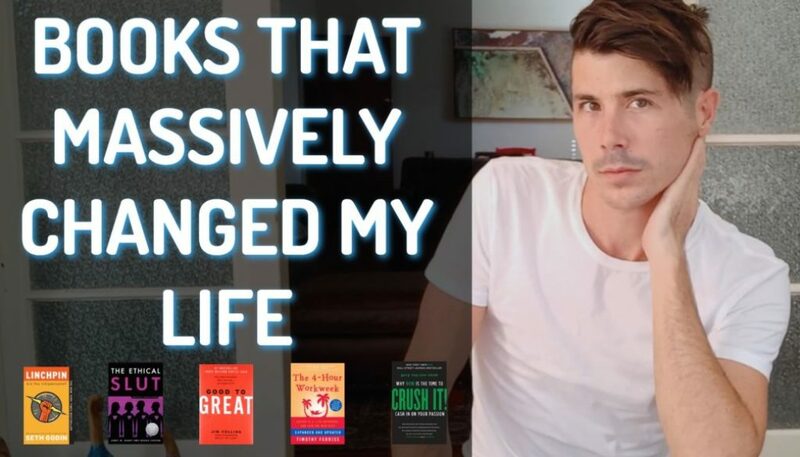 It is a big decision to make so I want to talk about some of the positives and the negatives of both types of loans so you can make a decision for yourself. First, let me put out a disclaimer to say that I am not a mortgage broker, mortgage advisor, accountant or tax advisor so just take this as general education and this is not specific to your situation. 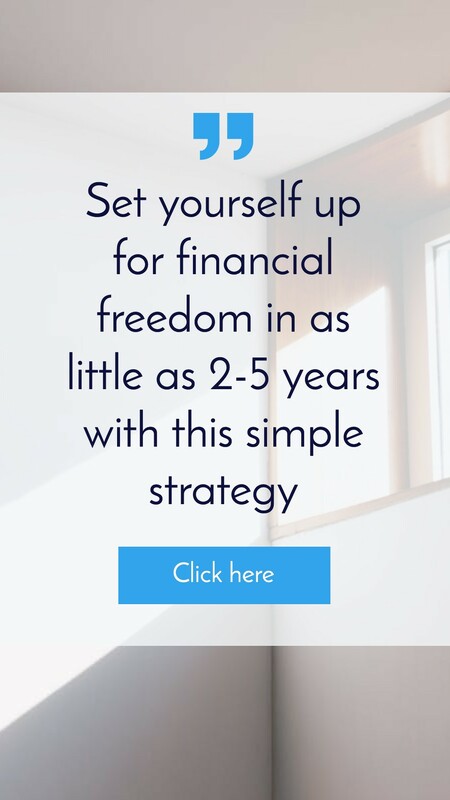 This should not be considered financial advice or mortgage advice. I hope that that helps. So first, let us have a look at the difference between the two loans: what do they mean; what is the difference the interest-only and the principal and interest loan. An interest-only loan is a loan where you only pay the interest created on that loan. So let us use a very simplified example. Let us say we get a loan for $100,000 to purchase a property at 6% and this works out to 0.5% per month and so let us say per month we are getting charged $500 in interest on this loan. We would then pay the bank $500 in interest each month and the loan would never change. It would always be $100,000 and they charge us $500 interest which we would then pay. And so the loan goes to $100,500 then it goes back to $100,000. So you are just paying the interest on the loan, you are not paying off any of the principal, which is the loan amount. Now, principal and interest loan is different because you are paying the interest but then you also put in money towards the loan value to reduce that value over time. So let us say we have a loan of $100,000 at 6% per annum so $500 per month in interest. Rather than just paying $500, we might pay $600 or $700 or $800 or $900 or how much it may be. Let us just say for this example we are paying $600. What would happen in the first month is we will get charged $500 interest. We will pay $600 so our loan would be reduced by $100 or $600 minus the $500 interest. So our loan is now $99,900. And what will happen is over time as you continue to pay extra; you will eventually pay down that loan and get rid of that loan completely so you no longer have to make interest repayments. Principal and interest loans are generally calculated over a specific period whether that be 15, 20, 25, 30 years or something like that and the monthly repayments are set as a standard monthly amount for that entire period of time. And so they do mathematical calculations to work out exactly how much you pay so you are not paying interest plus $100 every single month because then your figure would change. You are just paying a set monthly amount. Okay, so we know the difference. Interest only, we are just paying the interest; principal and interest, we are paying the interest plus a little bit more and our loan is going to go down in value until it ceases to exist because we have fully paid it off. First let us talk about the benefits of interest-only loans because a lot of investors choose interest-only loans and why did they choose them? They must choose them for a reason, there must be some benefits. So let us talk about the benefits to interest-only loans. One of the major benefits is that it improves your cash flow. When you are paying interest only and you are not paying principal and interest, there is less money you need to pay every week, month, year, whatever it may be towards your loan. In the previous example, we are paying $500 interest versus $600 principal and interest. So that is $100 per month that we do not have to pay, that we can use towards growing our portfolio, we can use it towards saving for another property or we can use it towards our lifestyle. It is up to us, whatever we do. But because the payments are lower with interest-only, it can improve your immediate cash flow position. It can also help you to maximize your tax deductions. Now, you do need to see an accountant about this because whether or not you can deduct the interest repayments on your loan depend on the purpose for what that loan is for, if it is for an income-generating asset or not so you do need to see your accountant about this. But for a lot of investors, they choose to go interest-only because it means they are maximizing their tax deductions on that loan because as you pay down that debt, you get less and less interest so that is less and less of tax deduction. So to explain this, let us take out 2 examples. Our first, interest-only loan, $100,000, $500 per month in interest, let us say that that is tax deductible. Okay, because it is interest that we have to pay, it is an expense for our property that is tax deductible. However with the principal and interest loan we are paying $600 instead of $500 so that full $600 is tax deductible, right? Well, no. Only the interest portion of your repayment because that is your expense. The rest, you are just paying back the loan and so it is not technically tax deductible expense in most cases. See an accountant because I am not a tax advisor or anything like that. And what is going to happen with your principal and interest loan, let us say you are still paying $600 but if you see down the line, your loan has dropped from $100,000 to $50,000, you are now paying $600 but only $250 of that is interest or a tax deductible expense. So even though you are still paying the same monthly amount over the course for many years, the amount that you can claim against the income from that property is actually going down over time. 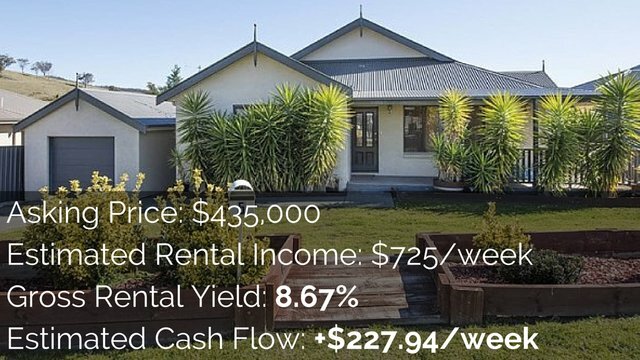 So what a lot of investors do is that they keep interest-only for their investment properties and they then take whatever excess cash flow they may have, simplified example is $100 a month and they then put that on to non-tax deductible expenses like their home. Because your investment property, you know you can claim expenses and things like that, they leave that interest-only. But because your home loan does not have any tax benefits or I cannot say does not have any tax benefits but because you cannot claim the interest as a tax deduction, they might then take that money and use it to pay down the home loan debt. So they are still paying down debt but they are just choosing which debt to pay down and they are paying down the debt that is most advantageous to them. So that is one of the benefits of interest-only loans, you maximize your tax deductions on the interest that you are paying effectively because the interest is not going down. I hope I have explained that well. Again, I just want to put that disclaimer out there, I am not a tax advisor so always seek professional advice when you are making these decisions. Another benefit of interest-only loans is that it can free up money to invest elsewhere. So rather than paying down your loan and putting money to reduce your debt, you are actually collecting that money that you can use as a deposit or you can use to go and invest elsewhere. Another benefit is that inflation and growth effectively reduces the value of your loan over time anyway. Let us take an example. Let us say our great grandparents or something in the 1900s. Let us say we are Edward Cullen from Twilight. We are vampires and we can live forever and we purchased a property in 1900 for $1,000. Money was worth a lot more back then. $1,000 back in 1900 is more equivalent to something like around $800,000 today. So we purchased a property back in the day, 1900, for $1,000. Let us say for the life of that property, it was just interest-only, the entire time. We are just paying the interest of that $1,000 over the course of time. We are still paying the interest all throughout the 1900s, First World War, Second World War, we go through. It is now 2015 and we have not reduced the loan at all. That loan is still $1,000. What has happened to that property? Is it still worth $1,000? Well, no. It is probably worth around $800,000 if we go with inflation or potentially even more. The percentage of the loan to the value of the property has dropped from 100% in the 1900 to insignificant amounts to day. And if $1,000 back then is worth $800,000 in today’s money then $1,000 now is basically chump change. $1,000 is not chump change for us but when it comes to investing in property, if we could purchase a property for $1,000, we would all jump on that. It is chump change in terms of property. So because of inflation, because of the way money works, because of fiat currency and all of that sort of stuff, what happens over time even though you are not paying down the debt, the value of that debt becomes less because of inflation. So that is something to consider especially if the tenant is actually paying the interest on that so you do not have to stress about that. Another benefit of interest-only loans is that the offset account can allow you to reduce your debt so effectively it can act like a principal and interest loan if you have an off-set account. So an offset account, the way that generally works, is you have an account and if you put money in that account, it then offsets the interest of the loan you have. So if you have $100,000 loan and you have an offset account with $100,000 in it, it offsets the interest from that loan so you would not have to pay any interest. So you still have the $100,000 but you are just not paying any interest on it because you have $100,000 in the offset account. So what a lot of investors might do is use this offset account to effectively reduce the interest that they need to pay on their property but they are not paying down the debt and they still have access to that money in the offset account. So it still can act like a principal and interest loan if you use an offset account and you set a certain schedule for yourself so a few benefits to interest-only loans that are definitely worth looking at. So negative to interest-only loans is that they have generally a maximum term of 5 years. So after 5 years you would then to refinance your property in order to get another loan. For most people this is not going to be an issue as long as the property goes up in value, as long as you are still generating an income, etcetera. 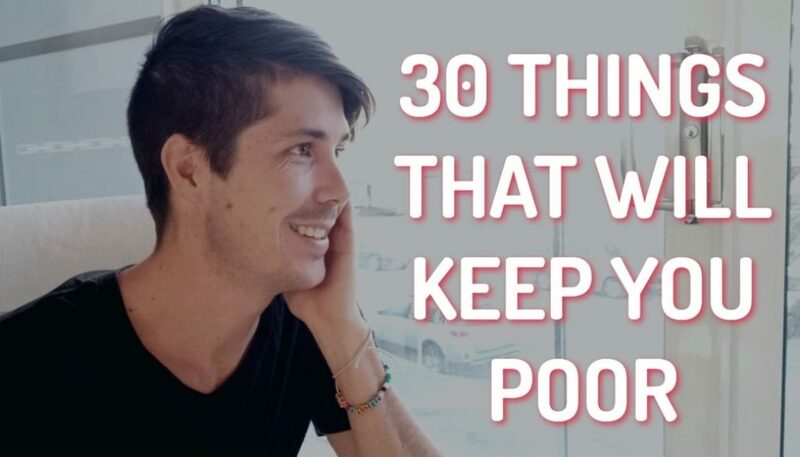 But if you do have issues, let us say you go from earning an income to losing your job and being unemployed, it can be difficult to refinance and get the money. Well, let us say your property actually goes down in value, it might be difficult to refinance at the 5-year point to get more money. You need to speak with a mortgage broker about that. I am not sure they do valuations at that 5-year point or if you can just renew it. But yeah, it tends to be a maximum term of around 5 years so that is obviously a negative to interest-only. Also a negative is that the debt does not get payed down. So a debt just stays the same, we are just paying the interest on that. Alright, so we talked a lot about interest-only loans. Let us talk about principal and interest loans. Let us talk about the benefits of principal and interest loans. One of the major benefits of principal and interest loans is that eventually the loan gets paid off in full which improves your cash flow dramatically. Let us say you are paying out $600 a month in our simplified example. Eventually that loan is paid off, we make the last payment of $600 and we now have no loan. We now do not have to pay any interest; we do not have to make any loan repayments. That $600 we were paying is now cash flow that we can have back into our pocket because we do not have to pay for it. So one of the benefits of principal and interest loans, eventually your loan is paid off which improves your cash flow situation dramatically because you now have no loan repayments that you need to make. Another benefit is that it significantly reduces the lifetime interest that you pay in a property. I do not know if you have seen any videos or any discussions about you might get a loan for this amount but then over the course of 20 years, your loan that was $400,000, you end up paying $1 million dollars in interest on that loan or $1 million dollars in value or something. They do these calculations to show you how much they cost you over the course of time. So by starting principal and interest and by paying off some principal earlier, you significantly reduce the lifetime value of that loan. So the faster you paid it off, the less interest you pay, the less compound interest that work against you and therefore I guess you pay less over the course of time. So that is one of the benefits. And also it can increase your equity because as you are reducing the loan, your equity is increasing. Because equity is really a calculation of the value of that property minus the debts on that property and so if you are reducing the debts then the difference between the value and the debt becomes higher. So you can create equity for yourself by paying down debt. So these are some of the benefits to principal and interest loans. Some of the negatives to principal and interest loans is that because you have those higher repayments because you are paying off the principal as well, it means less cash flow which can mean you might be in the negative cash flow position or you just do not have as much free cash available. Effectively as well, one of the negatives, you are getting like a 5% return on your money. Or it depends what your interest rate is, whatever your interest rate is, that is the return you are getting on the money. So if I have a 5% loan and I pay it $100 off, I am just saving myself $5 a year effectively in interest that I would have to pay so I can kind of consider that I am making $5 on that $100. I am getting a 5% return. You are not actually making $5 but you know what I am saying. The effective return of that money is just the value of your interest rate. Now I do not know about you but I am investing in property because I believe I can get a higher return than what I can get by parking my money in the bank. So by paying down debt, you are effectively getting quite a small return when you could potentially take that money, invest in another property or invest in something else and hopefully get a higher than a 5% return. So that is one of the negatives of principal and interest, you are effectively getting quite a small return on your money. You are reducing your deductible interest which we talked about. Over time, your interest gets less and less so it means your tax deductions are less and less whereas interest-only they stay the same and investors tend to use that money to pay down non-tax deductible debt. It is not easy to access the equity gain through payments. This depends on the loan that you have. But in a lot of situations, just because you paid off, let us say, half of your loan or in our simplified example, $50,000. That does not mean you can instantly go and take that $50,000 and purchase another property. In order to access that equity, you would likely need to go through the loan process again. Get an equity loan in order to get that money back in order to invest in another property. I guess that is one of the benefits of an offset account is you can take that money straight away and do what you want with it. However when you paid down debt, you cannot just get that money back. You would need to go through the loan approval process to get that back. But one of the positives that I actually forgot to talk about was that that forces you to pay down your debt. And so if we are doing interest-only, we have an offset account. Often we probably are going to dip into that offset account to spend money on things; maybe it is medical, maybe it is a car that we want. Maybe we need some new clothes or the kids are going to school so they need school supplies. We might dip into that money in order to do some things that we want. However when we go to principal and interest loan, we cannot easily dip into that money so it forces us to pay down debt, which is a good thing. So I think we have really covered interest-only loans versus principal and interest loans. We have looked at the pros and the cons of both of them. We have looked at some of the reasons why investors tend to choose interest-only loans with the tax deductible debt and the cash flow improvements so they can take the cash, invest elsewhere or pay down non-tax deductible debt. But then obviously for some people, principal and interest loans are going to be better because it is going to force you to pay down debt. You might not like it or it might be part of your strategy to eventually remove your debt. Depending on what your strategy is, depending on what you want to achieve, depending on your risk levels as well, you need to choose which one is going to be best for you. And I do suggest that you go ahead and talk to a mortgage broker about this sort of stuff because it can get quite complex and by seeing a mortgage broker you are going to learn about all the different options that are out there for you, all of the different lenders and you can get a great interest rate and I guess maximize your borrowing capacity. If you just go to one lender, let us say you would go to your local bank, they are just going to look at their range of things and whether they can lend you money but there might be other lenders out there who can lend you more money, provide you a better interest rate or can just put you in a better situation. So always go and see a mortgage broker when you are dealing with these things. If you need a mortgage broker, I do recommend Brad the Broker. You can check him out by going to OceanHomeLoans.com.au or you can check out all his details and request him to contact you by going to OnProperty.com.au/mortgage. 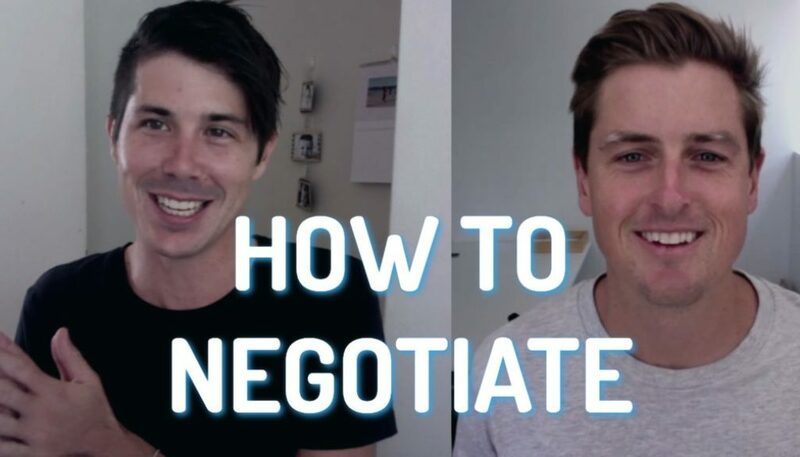 And if you let him know that you came from Ryan at Onproperty.com.au, I do get a referral fee from him so I absolutely appreciate that. But yeah, if you do need a mortgage broker, check out Brad from OceanHomeLoans.com.au. I hope that this has been useful to you guys. Until next time, stay positive!